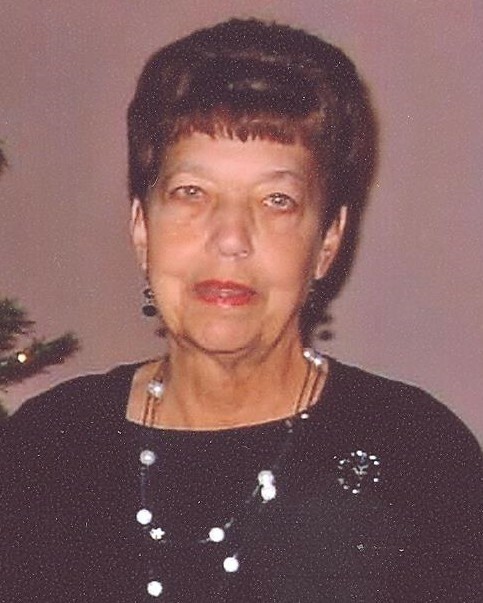 Betty Jane Calligaris, 79, of Wilmington, formerly Coffeen, Illinois, passed away Friday February 1, 2019 at Presence Saint Joseph Medical Center in Joliet. Visitation will be held Sunday, February 3, 2019 at Baskerville Funeral Home, 700 East Kahler Road, in Wilmington, from 3:00 p.m. to 5:00 p.m. and on Tuesday, February 5, 2019 at Toberman-Dean Funeral Home, 212 West Main Street, in Coffeen, from 1:00 p.m. to 2:00 p.m. Funeral Services will be held on Tuesday, February 5, 2019, at Toberman-Dean Funeral Home, at 2:00 p.m. Rev. Bert Eickhoff, Pastor of Trinity Lutheran Church in Nokomis, IL, will officiate. Burial will be in Olive Hill Cemetery in Coffeen, where Betty will be laid to rest next to her husband. Born October 20, 1939 in Coffeen, Betty Jane was a daughter of John J. and Neta (nee Lewey) Jorn. She was raised and educated in Wilmington and graduated from Wilmington High School with the Class of 1957. On June 15, 1963, Betty married Norman Gene Calligaris and together they would make their home in Wilmington. She worked at the Joliet Arsenal Ammunition Plant as a secretary until she retired. Betty’s best times were spent with her sisters and the rest of her family, who she loved dearly. Survivors include her sisters: Joyce Van Duyne of Wilmington, Shirley Kent of Coffeen, and Janet (Charles) Blakley of Sun City, Arizona; nieces and nephews: Ellen Overton, Richard (Debbie) Kent, Robert (Debbie) Van Duyne, Karen (Andy) Tull, Jeff (Beth Ann) Van Duyne, Gary (Laurie) Van Duyne, Connie (John) Borth, Barbara (Ken) Gavre, Bruce (Diane) Van Duyne, Glen (Jill) Van Duyne, Scott (Kim) Van Duyne, Alvin (Nichole) Van Duyne and Sue (Mike) Schrader, as well as numerous great nieces, great nephews, and one great-great niece . Betty was preceded in death by her parents; her husband Gene; one brother-in-law: Robert Van Duyne; one nephew: Steve Blakley; and special friend: Mary Turan. A special thank you to Dawn Jones for being her loving caretaker. In Lieu of flowers, memorial donations may be made to Olive Hill Cemetery in Coffeen, IL.